Dubai, UAE; July 2017: Oud Elite continues its journey to provide exquisite perfumes in Saudi Arabia and the Gulf with its latest addition: Rose Noir. Darkening the character of a rose, the latest addition to Oud Elite’s fragrance line gives a modern twist to the light, enchanting scent of most women’s favourite flower. Unexpectedly surrounded by intense sheer musk and powdery notes, it gives a luxurious feeling that arouses the senses. Capturing the mystery of seduction with a sweet amber wood fragrance, Rose Noir is intriguing and subtle as a sophisticated woman is never ostentatious about her scent. Its black and gold packaging, associated to luxury, keeps the mystery for the strong yet vulnerable. 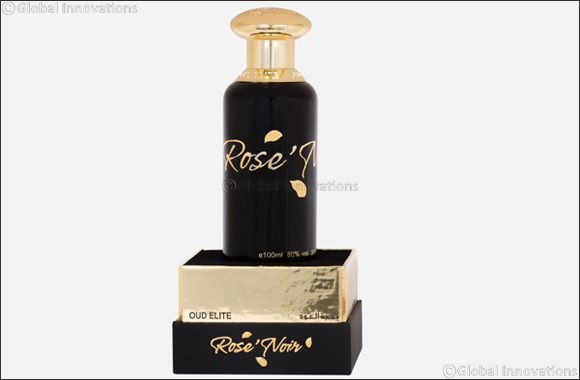 Rose Noir is available in all Oud Elite outlets across GCC and is retailed at SR320 or AED313 (100ml).